As of 2017-08-15: 3 boxes. In the early-1960s, several European scientists shared a vision for a European research centre that would focus on molecular biology. This led to the creation of the European Molecular Biology Organization (EMBO) in 1964. EMBO’s primary objectives were (and remain): supporting research in the life sciences, and facilitating the exchange of scientific information. 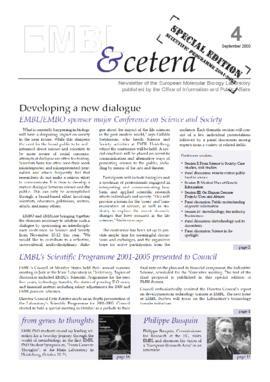 As one way of meeting these goals, EMBO considered the creation of a central laboratory. A Laboratory Committee was set up to explore the options available and answer essential questions. Should this be a new laboratory or envisaged as a federation of laboratories across Europe? What would such a laboratory focus on and provide that national institutions could not? By the early-1970s, the concept of a laboratory that would carry out fundamental research in molecular biology, develop advanced instrumentation and deliver advanced training in the life sciences was agreed upon. In addition, it was decided that the laboratory would consist both of a main laboratory and specialist outstations. The site of Heidelberg for the main laboratory was agreed in 1971. The multilateral “Agreement establishing the European Molecular Biology” (10 May 1973) was signed by 10 founding members (listed below), and came into force on 4 July 1974. 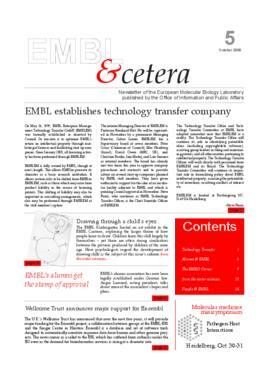 This marks the birth of EMBL as a legal entity. John Kendrew was appointed as EMBL’s first Director General. In 1975, a formal agreement with the Deutsches Elektronensynchrotron (DESY) in Hamburg, DE, was ratified, creating the first EMBL outstation. The following year, an agreement was signed with the Institut Laue–Langevin (ILL) in Grenoble, FR, creating a second outstation. In the meantime, the construction of the Heidelberg laboratory was underway. In 1978, EMBL staff moved from the temporary and dispersed facilities they had been occupying around the city of Heidelberg into the new buildings on Meyerhofstraße, next to the Max-Planck-Institut für Kernphysik (Max Planck Institute for Nuclear Physics). In 1980, EMBL started developing a data library, which would centralise DNA sequences. This became the EMBL Data Library; the first release of the Nucleotide Sequence Data Library was in 1982. In 1982, Lennart Philipson was appointed EMBL’s second Director General. During his tenure, Philipson expanded EMBL’s training activities: courses and conferences were developed, and a new lecture theatre was built. The training of doctoral students and post-doctoral fellows was also developed and formalised in partnership with universities across Europe. 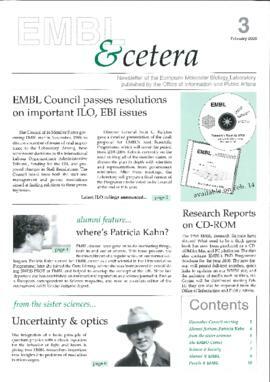 In 1992, EMBL Council approved the establishment of a third outstation, which would focus on bioinformatics, the European Bioinforamtics Institute (EMBL-EBI). 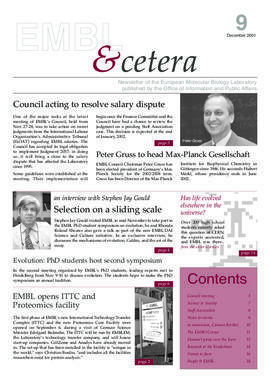 In 1993, Fotis Kafatos was appointed as the third Director General of EMBL. 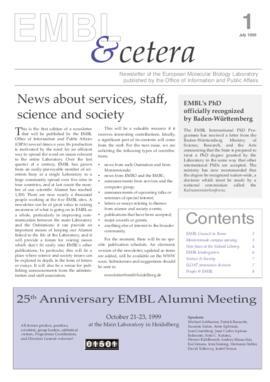 Throughout 1994, as well as celebrating EMBL’s twentieth birthday, the initial plans for the outstation at Monterotondo were prepared. This outstation would be a mouse research facility, working with the European Mouse Mutant Archive (EMMA). 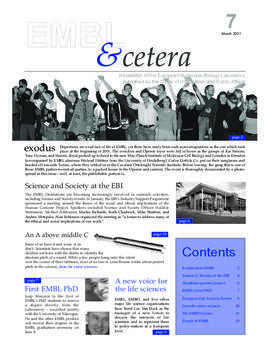 By the end of the 1994, the EMBL Data Library / EMBL-EBI had relocated to Hinxton, GB, on the Wellcome Trust Genome Campus. It was initially housed in temporary offices while new facilities were built (completed in 1995). 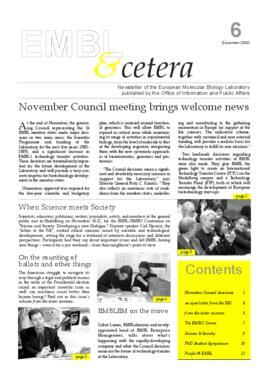 In 1997, the Monterotondo outstation began to welcome researchers. The facility was fully operational by 1999. 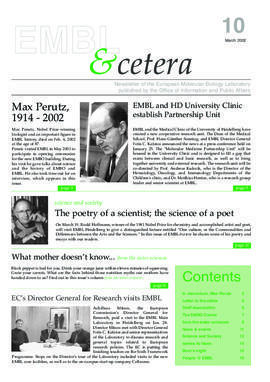 In 2005, Iain Mattaj was appointed EMBL's fourth Director General. 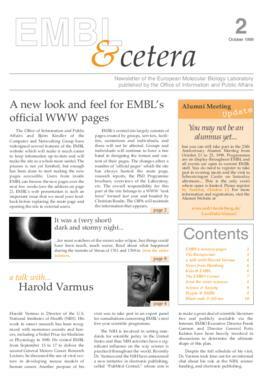 Since it was founded in 1974, EMBL’s membership has more than doubled. From the 10 original signatories (Austria, Denmark, France, Germany, Israel, Italy, the Netherlands, Sweden, Switzerland and the United Kingdom), the following states have joined: Finland (1984), Greece (1984), Norway (1985), Spain (1986), Belgium (1990), Portugal (1998), Ireland (2003), Iceland (2005), Croatia (2006), Luxembourg (2007), the Czech Republic (2014), Malta (2016), Hungary (2017) and Slovakia (2018). Working beyond Europe, since 2003, the Associate Membership Scheme enables non-European states to benefit from EMBL’s programmes. Australia (since 2008) and Argentina (since 2014) are EMBL’s first two Associate Members States. 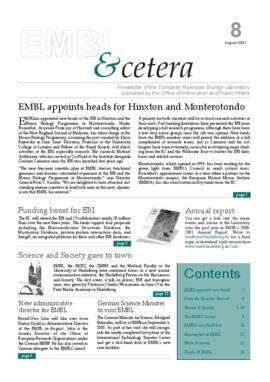 Furthermore, as a preliminary step towards membership, Prospect Membership enables members to become affiliated with EMBL with the view of becoming full members. Ad of 2018, Poland (since 2014) and Lithuania (since 2015) are prospect member states.